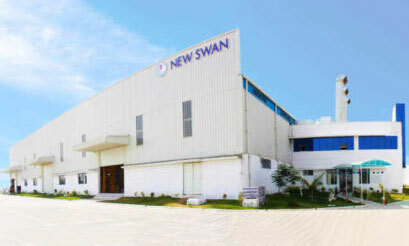 With flagship company New Swan has invested in two plants in 2015 (Automotive & Agriculture) New Swan has invested in Vithlapur (Gujarat) for 4.4 acre of land with built up area around 65 percent for manufacturing. Various parts to be produced like Sheet metal parts, tubular parts, assembled parts with finish of Powder Coating. Plant is equiped with Press 63-250Ton ( 30 Presses),MIG Welding, Projection Welding, Powder Coating (Fully Automatic) and In house Machine shop. Customers for this plant is HMSI and other Tier-1 Suppliers.